It’s a pleasure for me that you clicked on "About" page and wants to know about this blog. Well, MyTipsHub was born in March 2014 and started for sharing unique and valuable information about blogging tips and tricks. Here at MyTipsHub, we focus and blog on blogging tips, computer tips, SEO tactics, free resources, affiliate marketing guides, earn online and every aspect related to blogging. However, you can learn many things about blogging through the simple and easy posts/videos. Also, we are working hard to improve site performance and trying our best to deliver useful solutions for better blogging with readers. Here we only share information which is tested by us first, because we don’t want to provide any wrong information to our readers. We just want to create this platform user and readers friendly than any other. We are a team consist of couples of guys who have good skills and knowledge about wordpress, SEO, blogging and computer tricks. So, you can ask any question related to these topics. Well, as I mentioned before, this blog provides info’s about blogging tips, SEO tricks, online earning ways, computer tips and tricks plus many more things. You can learn anything which I mentioned here. Just subscribe our blog with your email and get latest and fresh posts directly in your inbox. However, you can find us on social media sites to keep in touch with us. If you have any query, then feel free to contact us via the contact us page. We will answer your questions ASAP. 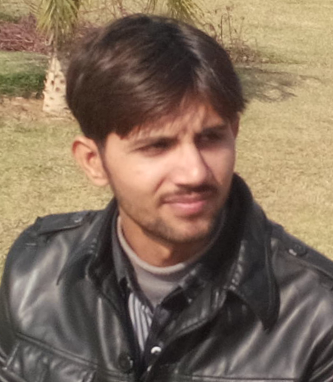 My name is Muhammad Imran Nazish, the guy behind this site and the founder of mytipshub.com. I started blogging back in 2009 and learned Blogging, Search Engine Optimization, How Someone can Make Money via blogs. Here at MyTipsHub, I only share things that I know and tried. I had some blogs on the Blogger platform, after spending a couple of years with blogger sub-domain(.blogspot), I realized that TLD (Top Level Domain) domain rank well and higher than a sub-domain. So, I searched for a unique, attractive and short domain name and finally find www.mytipshub.com. I hope you would like it too. I start from zero and learned many things over the last 2 years. Every new blogger wishes to become a pro-blogger and earn $$$$ 🙂 Instead of just earning money I want to become a blogger whose blog help users to FIX their problems. I am on the way to learn new things and share what users look for. Blogging is not as easy as some starters think, it takes time and patience too. But, right strategies with smart work definitely brings results. Anyway, if you like MyTipsHub, please share with your friends. Having any suggestions and feedbacks? I would love to read your suggestions, please feel free to share.